CALLING ALL ARTISTS AND CRAFTSFOLK! reimagine, reuse, and repurpose salvaged items? 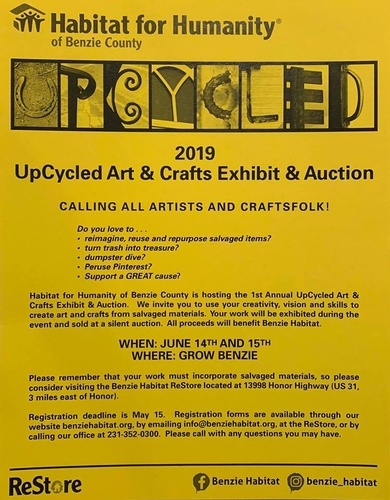 Habitat for Humanity of Benzie County is hosting the 1st Annual UpCycled Art & Crafts Exhibit & Auction. We invite you to use your creativity, vision and skills to create art and crafts from salvaged materials. Your work will be exhibited during the event and sold at a silent auction. 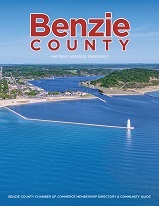 All proceeds will benefit Benzie Habitat. The event will be held at GrowBenzie and open to the public June 14th & 15th. 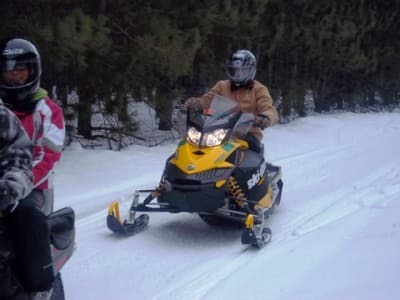 All work must incoporate salvaged materials, so please consider viisting the Benzie Habitat ReStore located at 13998 Honor Highway (US 31, 3 miles east of Honor). Registration deadline is May 15. You may register by visiting our website, benziehabitat.org. Printable forms are also available on the website. Registration forms are also available at the ReStore, or by emailing us at info@benziehabitat.org, or by calling the office at 231-352-8882. Please call or email by with any questions.